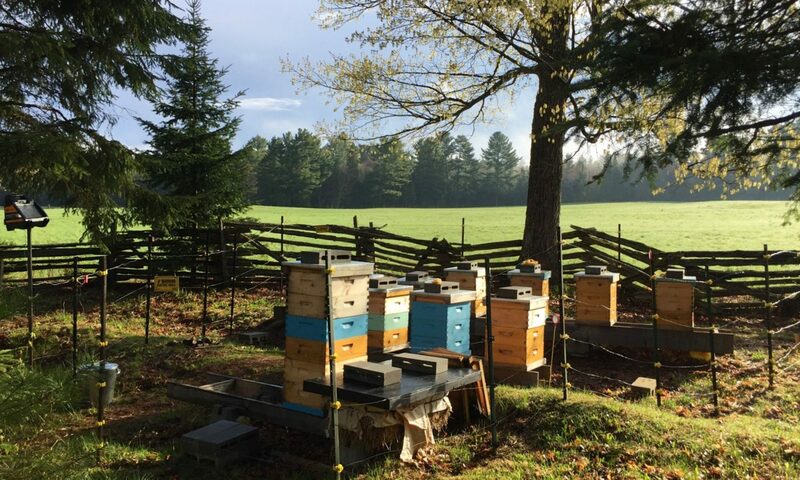 The Muskoka – Parry Sound Beekeepers Association (MPSBA) is a small group of Ontario beekeepers from the Muskoka and Parry Sound area that meet roughly once a month from March to November. Our members have a wide range of experience and they are mostly small beekeepers who have 1 to 20 hives, but we do have some larger beekeepers as well. discuss local conditions, tips and tricks, new experiences, etc. Every June we try to hold a bee yard tour with a bee inspector and everyone is welcome to join us. It is a fantastic experience for anyone interested in beekeeping and we normally visit 3 to 5 different bee yards. Membership is $20 per year and we normally hold a 50/50 draw at each meeting to help raise funds. You do not need to purchase a membership or participate in the draw to attend meetings, but we do hope that you will join our membership if you are getting value from the club.